Working closely with a factory local to our China office specializing in interconnect devices, we can customize interconnect devices to meet your needs. 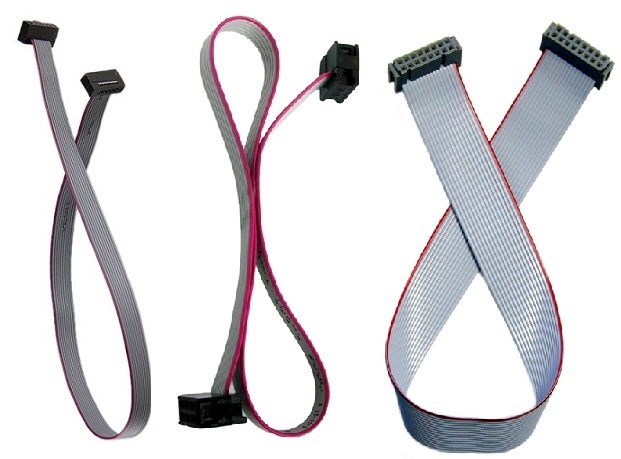 Over the years, we've customized flat ribbon cable assemblies, surface mount through-hole female connectors and many other connectors for our clients. We customize flat ribbon cable assembly for our clients. Currently we can manufacture 0.1" pitch, dual row, female to female ribbon cable assembly with any reasonable position and length requirement. Currently we can manufacture 0.05" pitch, dual row, female to female 10 position and 20 position ribbon cable assembly with any reasonable length requirement. Our connector assembly mechanism greatly improves the cable life span. We can package the cables according to your requirement. Whether you want to have individually sealed ribbon cables, or 100 cables per bag, we can do it for you. If you want to have assorted cables packaged together, we can do that too. We make standard and custom connectors for our clients. Male and female, shrounded and non-shrouded, surface mount, through hole, and surface mount-through hole combo. 0.05", 0.1", 1mm, 2mm pitch, you name it, we make it! We can help you with other China resources. If you are currently outsourcing, contact us and see how much you can save! If you are looking for an outsource service, look no further! Let us know and you won't be disappeared!